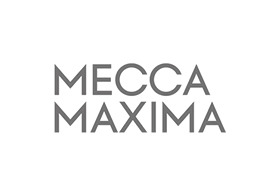 At Mecca Maxima, we’ve brought together the best of the best beauty brands from around the world in one larger-than-life store. It’s the biggest line-up of prestige, niche, up and coming brands, as well as those tried and true favourites that you’ve come to know and love. And it’s all under the one roof. It’s a whole new way to shop for beauty. Our experts will be on hand to help you out if you need it, or you can play, rub, dub, spritz and buff your own way through all that is on offer. It’s beauty your way. You can do what you want, when you want, how you want… in your own time.